Telephone Systems – Sound Impressions Inc. Whether your needs are simple or complex, Sound Impressions can help design a telephone system for your office or business that makes communication with your clients and coworkers seamless. When it comes to phone systems installation, why trust anyone other than an authorized service provider for Avaya and Panasonic products? 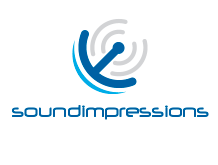 At Sound Impressions, we know our products, and we have the best-qualified technicians to service them.